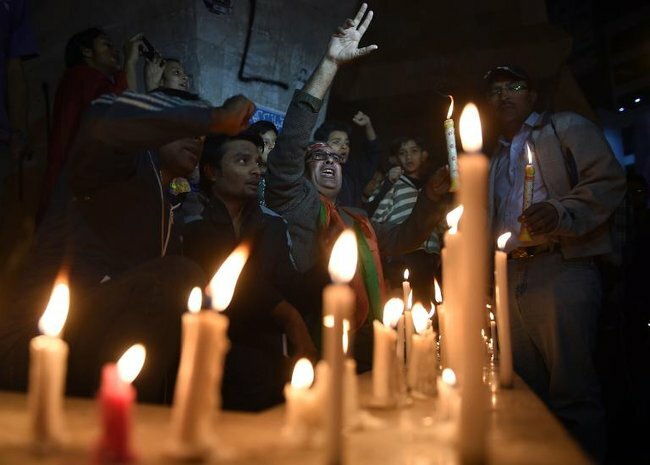 Pakistan massacre: "I saw death so close and I will never forget the black boots approaching". Warning – this post contains graphic images. 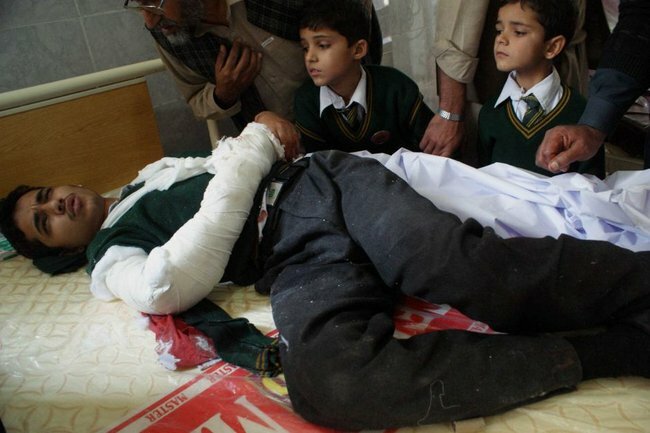 A teenage survivor of Tuesday’s Taliban attack on a Pakistan school described how he played dead after being shot in both legs by insurgents hunting down students to kill. Speaking from his bed in the trauma ward of the city’s Lady Reading Hospital, Shahrukh Khan, 16, said he and his classmates were in a careers guidance session in the school auditorium when four gunmen wearing paramilitary uniforms burst in. “Someone screamed at us to get down and hide below the desks,” he said, adding that the gunmen shouted “Allahu akbar” (God is greatest) before opening fire. “Then one of them shouted ‘there are so many children beneath the benches, go and get them’,” the student said. He said he felt searing pain after being shot in both his legs just below the knee. 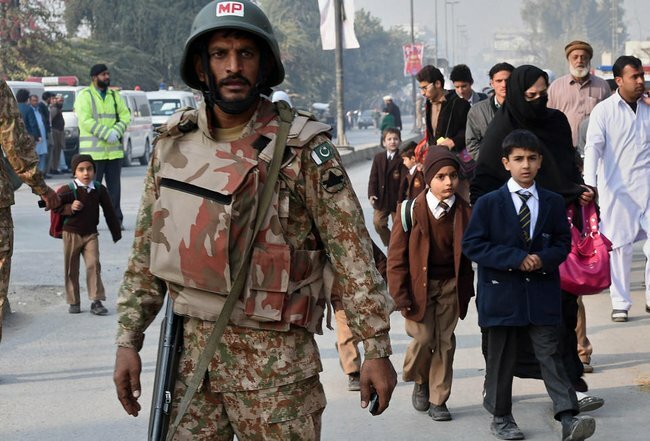 “The man with big boots kept on looking for students and pumping bullets into their bodies. I lay as still as I could and closed my eyes, waiting to get shot again. The man with big boots kept on looking for students and pumping bullets into their bodies. I lay as still as I could and closed my eyes, waiting to get shot again. “Then I tried to get up but fell to the ground because of my wounds. “When I crawled to the next room, it was horrible. I saw the dead body of our office assistant on fire,” he said. It was not immediately clear how the female employee’s body caught fire, though her remains were also later seen by an AFP reporter in a hospital mortuary. The student, who said he also saw the body of a soldier who worked at the school, crawled behind a door to hide and then lost consciousness. “When I woke up I was lying on the hospital bed,” he added. 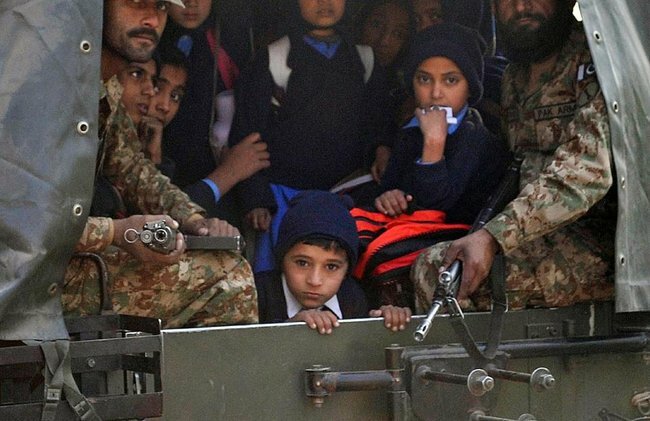 The Tehreek-e-Taliban Pakistan has claimed responsibility for the attack as retaliation for a major military offensive in the region, saying its militants had been ordered to shoot older students. This post originally appearred on the ABC and has been republished here with full permission.